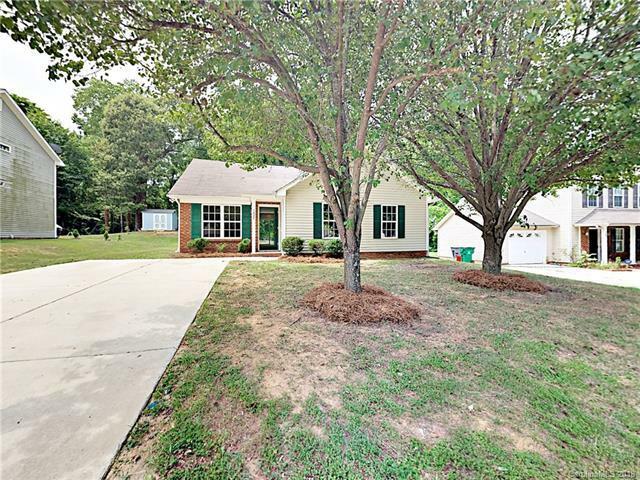 7027 Rumple Road, Charlotte, NC 28262 (#3417480) :: Robert Greene Real Estate, Inc. Recently updated 3BR/2BA home....move in ready and waiting for it's new owners! New vinyl plank flooring in living room, kitchen and dining area, as well as both bathrooms. Fresh two tone interior paint throughout. Living room is spacious with vaulted ceilings and large windows; wraps around to kitchen boasting white cabinets, granite counter tops, and NEW stainless steel appliances. Master has attached, private bathroom with tub/shower combo. Add'l bedrooms are ample in size. Lot has large, mature trees... lovely home!